There are some changes at the top this week, since dunlopp9987 scored a goose egg. Indeed, it's getting quite close at the top, and a 10-pointer could really shake things up. Second goal had me well conflicted. There were two 10-pointers this week: well done to barryj and MikeO. 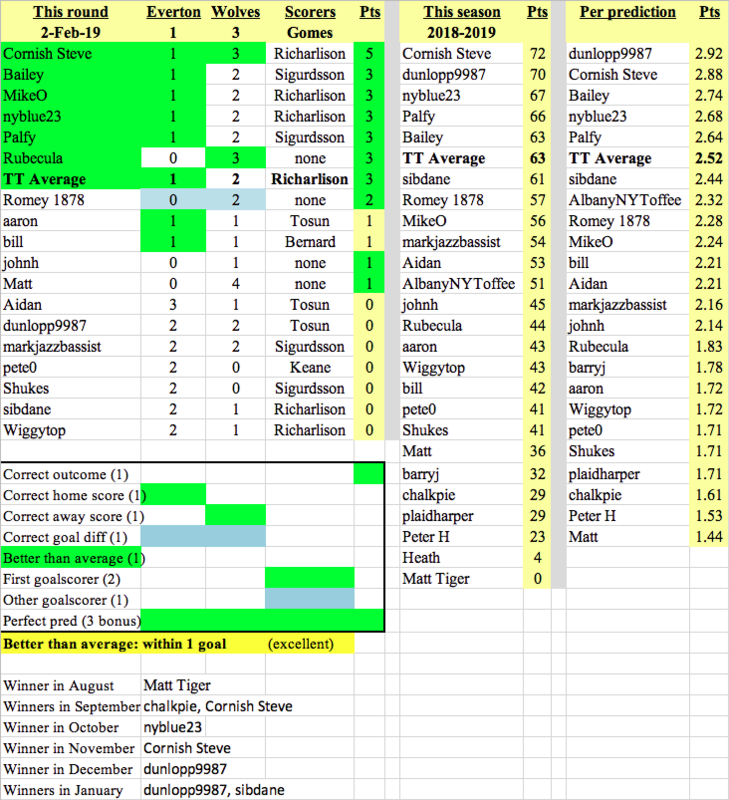 This puts MikeO in the lead for the month of February. 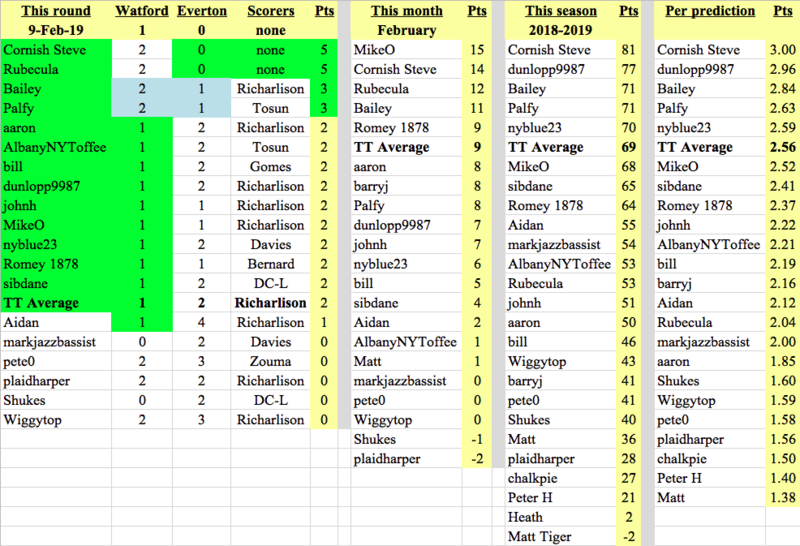 There's no change at the top for the season or points per prediction, although it's very close. Well done, Rubes (and yours truly) for winning the round with five points. Sadly, we predicted correctly that Everton would lose and fail to score. For the month of February, MikeO keeps his lead. 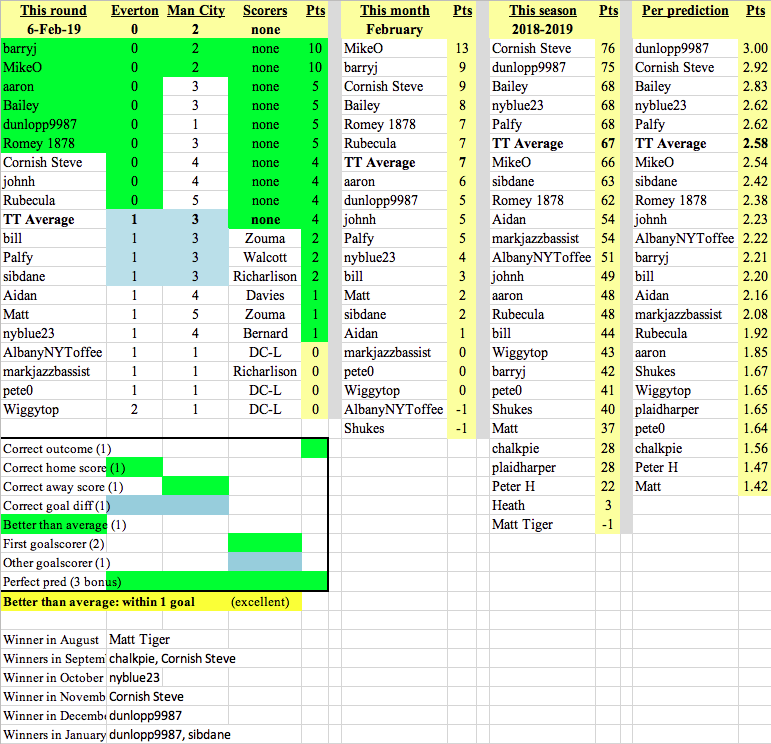 For the season and per prediction, I've managed to increase my lead a little.